ALCOHOL AWARENESS WEEK officially launched this morning. The week will take place from 31 March - 4 April. Over the week communities throughout Ireland will get involved with activities to raise awareness of issues surrounding alcohol such as family problems, assaults, crime and anti-social behavior. “The recent ‘Neknominate’ craze highlighted very publicly and widely exactly how harmful alcohol can be. In every-day life alcohol is wreaking havoc on communities throughout Ireland, leading to the break-up of families, anti-social behavior, ill-health and loss of productivity in the workplace. “We need to realize how our own drinking habits impact on the people around us, in the home, in school and workplace and on our roads”. The Alcohol Forum’s annual conference on 2 April will be a focal point of the week. Key national and international speakers will discuss alcohol related issues at the “Alcohol’s Harm to Others” conference which will be opened by Minister Alex White. The conference will have a ‘Soapbox’ section where key speakers give their perspective on alcohol’s harm to others. Singer and founder of The Rise Foundation Frances Black and former Leitrim footballer and GAA Community and Health Promotion Manager Colin Regan are among the speakers. Alcohol Awareness Week is an initiative of Donegal based charity, The Alcohol Forum and is supported by the HSE, Alcohol Action Ireland, Drugs.ie, Greater Blanchardstown Response to Drugs and the Royal College of Physicians of Ireland. 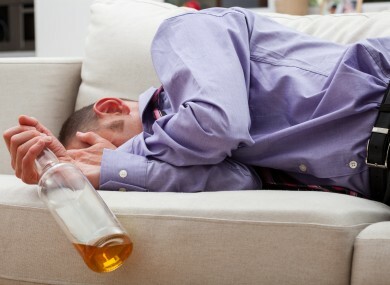 Email “Alcohol Forum says alcohol is wreaking havoc on communities around Ireland”. Feedback on “Alcohol Forum says alcohol is wreaking havoc on communities around Ireland”.